The 3m tape is normally designed for temporary use. Some of the 3m tapes are very easy to remove as well as reposition. However, others can be problematic. After long exposure to UV rays and heat, the tape’s adhesive dries out; hence making it problematic to get rid of it from the painted, plastic or glass surfaces. A razor blade can be used to remove the 3m tape from your car; however, the razor blade will scrape the adhesive off the glass. Do not think of using a razor blade since there are various products that are formulated to get rid of the adhesives from the delicate surfaces of your car. To remove the adhesive, always test a small section to make sure that it Just before you decide to apply any of the products does not harm or destroy the original surface. There are various ways of getting rid of the 3m tape from your vehicle. The method you opt to use will depend on the resources you have or the products you can afford to buy. However, the use of a razor blade is somehow discouraged since it can scrape the surface of your car when used correctly, it can as well play a great role in removing the tape from your vehicle. The various methods of removing the tape from your car include the use of gloves and safety goggle, heat, adding moist heat, use of a solvent, 3m adhesive remover, soaking the area with WD-40, use of goo gone, use of alcohol, and scraping with a razor blade. Before you initiate the procedure of removing the 3m tape from the surface of your car, you should ensure that you put on gloves and safety goggles. When working with razor blades, solvents, or the putty knives, always protect your skin as well as eyes using heavy work gloves, safety goggles, or the disposable gloves. Ensure you are in a well-ventilated area or just in an open place. In case you are working in a closed garage, make sure to open the windows as well as setting up fans to circulate the air in the garage. The heat affects some of the 3m tape adhesives. Consider using the blow dryer to soften and heat the ﻿adhesive. Enter a plastic putty knife just under the edge of your 3m tape to lift and then peel it off the surface of your car. Moist heat, like the steam iron, can as well dissolve the 3m tape adhesive. Placing a wet towel on top of the 3m tape and use iron or just a blow dryer to heat the towel. Scrub the car’ surface gently with the towel to peel off the adhesive. Always use caution if you are removing the tape from plastic or paint surface on your car since the surface may end up damaged by the hot water you are using. Before you start using a solvent or any product, always taste a small section of the original surface in an area which is not easily noticed. Alcohol or solvents may end up damaging your car’s surface. When getting rid of the 3m tape adhesive, you can try using a 3m product that is designed for that particular purpose. 3m adhesive remover is the safest method to use on cured glass, viny﻿﻿l, and automotive paint. The 3m adhesive remover is advisable since it can as well be used to remove wax, oil, and grease. WD-40 is mostly used by the mechanics. The WD-40 is not only a lubricant but also it contains petroleum products which make it a good adhesive solvent. You can spray the 3m tape with the WD-40 and let it soak for some minutes. On vertical area, cover the adhesive with a towel soaked in WD-40. Hold it in position for about five minutes. Use the plastic putty knife to get rid of the adhesive from your car surface. Wipe off any adhesive remains with a towel. Clean the section with water and soap to get rid of any remaining WD-40. 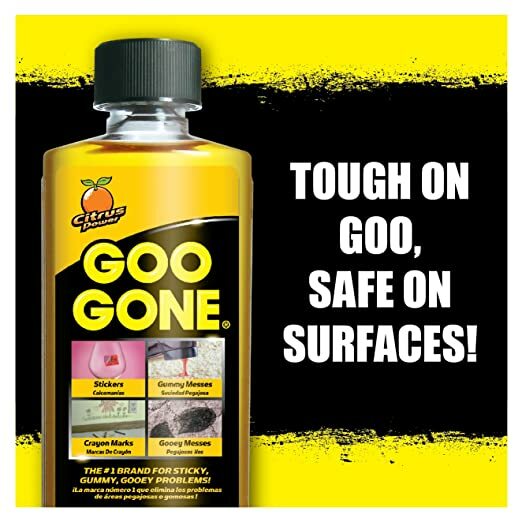 The Goo Gone is sold in small bottles and is used to dissolve tape adhesive. You can spread the Goo Gone on top of the tape adhesive and let it soak for a few minutes. Wipe off the tape residue using a rag or towel. Goo Gone ends up leaving an oily residue which can easily be removed using Dawn which is a dishwashing liquid. Rubbing hand sanitizer with alcohol or just alcohol can also help in dissolving tape adhesive. You can use swabs or cotton balls to apply the alcohol on the 3m tape. When necessary, pour some of the alcohol onto a rag and place it on top of the tape. Then cover the rag with a plastic wrap and just tape it down. After some time, lift the edge of the surface and check the adhesive. After the tape softens, remove the rag to wipe off the adhesive. Removing the unwanted 3m tape from car can be easy. However, one should always be keen not to damage or scrape the surface of the car. The above methods are suitable for removing the 3m tape. However, you should pick the method that is suitable for your car.